Anna Conway was born in 1973 in Durango, Colorado. She received her BFA from the Cooper Union for the Advancement of Science and Art and later received her MFA from Columbia University School of the Arts. 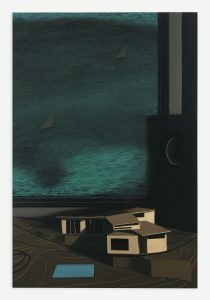 Conway is the recipient of two awards from the Pollock-Krasner Foundation (2005 and 2011), the William Metcalf Award from the American Academy of Arts and Letters (2008), and the John Simon Guggenheim Fellowship (2014). 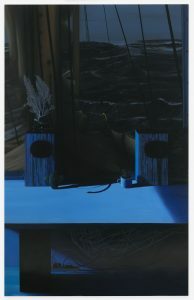 Described as a storyteller, Conway creates paintings that depict narratives in which, in her own words, “ordinary people are suddenly confronted by forces greater than themselves.” Growing up in Foxboro, Massachusetts (home of the New England Patriots’ NFL stadium) and being constrained to return repeatedly after high school due to lack of finances, Conway felt trapped in the town. 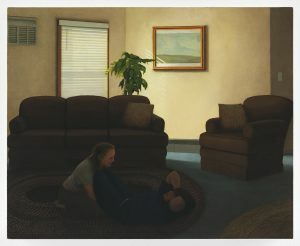 Observations of the day-to-day routines and interactions of a suburban town would later emerge in works such as Docent (2013), in which a seemingly sad older man waits in vain in an empty colonial museum for visitors. 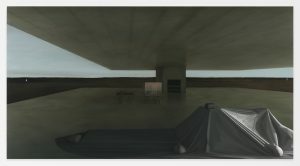 Conway’s approach to representation is precise and methodical, inventive and deliberate. She works in loose gestural forms at the start of a painting, but her forms gradually become increasingly focused and controlled. 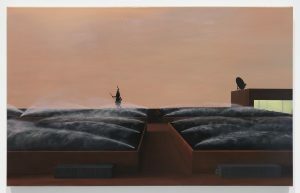 The juxtaposition of her physical practice and conceptualization of fantastical vistas or scenarios is present in Trance (2006), in which a man collecting satellite antennas on a rooftop is captured lost in thought while gazing at the reflection of blue sky in a puddle. With each stone painstakingly created, the work is a discomforting labor of meditational practice and care. 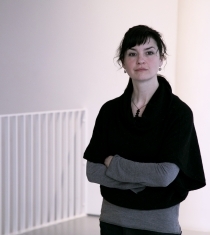 Recent solo exhibitions include Anna Conway, Fergus McCaffrey, New York; Anna Conway: Purpose, Collezione Maramotti, Reggio Emilia, Italy; Anna Conway, American Contemporary, New York; and Anna Conway, Guild & Greyshkul, New York. 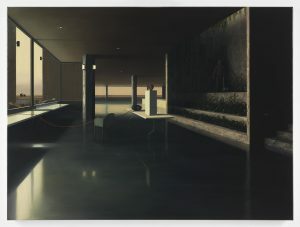 Recent group exhibitions include In My Room, Fralin Museum of Art, Virginia; The Last Brucennial, Bruce High Quality Foundation, New York; Uncharted, University Art Museum, State University of New York, Albany; Invitational Exhibition of Visual Arts, American Academy of Arts and Letters, New York; and Greater New York, P.S. 1 Contemporary Art Center, Long Island City. She lives and works in New York. Be the first to hear about our latest exhibitions and events.